It’s Coeliac awareness week this week but that only means it highlights an issue that some people have to deal with all year round. This gives us a great reason to review some of the products and let you see what’s on offer. Whether you’re Gluten-Free, Egg-Free or Vegan. 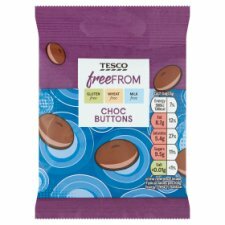 Tesco’s Free-From range have got a tonne of options for a lot of people! 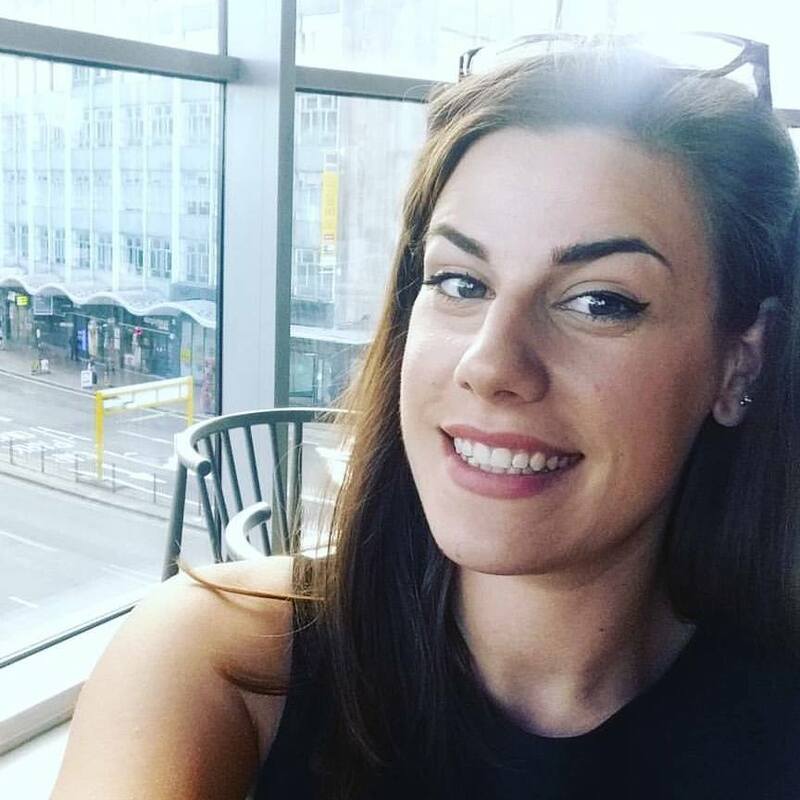 Personally, I am Vegan and suffer from mild IBS which a gluten-free [What is Gluten-Free?] and dairy-free diet helps with those symptoms. That’s not to say I’m not partial to a few biscuits and the occasional slice of bread. I just take the brunt of it after! 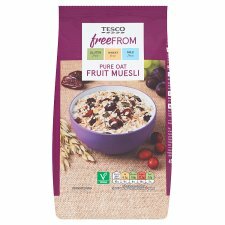 Tesco has a tonne – a literal tonne of different products that are free-from but this post is specific to Tesco’s own brand free-from products! And a tonne of Alpro products; chocolate yoghurts, vanilla mousse, Almond milk, Hazelnut milk, Chocolate oat Milk & some biscuits. I didn’t personally buy any of these breakfast cereals as I’m not really a big cereal lover, you’ll know this if you’ve seen my pancake and waffle guides. The thing to note with these cereals is that they are (from what I’ve seen) vegan! A lot of brands these days have an animal product in them, I believe it’s wool ground down into a powder and added to the ingredients list so do check for ‘D3’. Again, not a huge sweet fan but I do like to buy the yoghurts and ice creams from the free-from sections as Vegan ice creams can get expensive. Tesco’s own brand you can get 4 ice creams (that are vegan too) for less than £2! I love their Free-from chocolate desserts. They were £1.50 for 4 so not particularly expensive and they are so creamy and smooth. Like silk! I typically make my curries and sauces from home but salad cream would be near impossible to replicate so I’ve not been able to try any since I first went vegan! So you guessed it..that’s exactly what I bought! I also bought the mozzarella cheese from the Free-From range too as I wanted to re-do my sweet potato pizza with vegan ingredients. The Cheese is more like a strong cheese, perhaps more similar to Stilton or blue cheese. Which I was never a big fan of so It’s not something I’d repurchase but if you’re a big cheese fan and are thinking about going vegan the mozzarella could be a good swap for you. This week I realised Tesco’s own brand are Vegan so I was able to indulge in a falafel wrap with a huge squirt of salad cream – It’s the little pleasures in life! All in all I’ve had a great week experimenting with foods I haven’t been able to eat in a what feels like a decade (really only 8 months). Cornettos are one of my favourite ice creams so to be able to put them back on my shopping list (and just in time for summer too) feels so good! 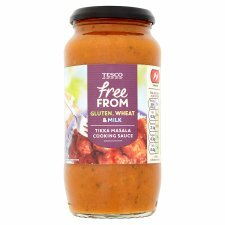 I typically eat the Gluten-free pasta from Tesco along with a lot of the name brands from other companies but no one has any Vegan Cornetto’s so Tesco’s Free-From range swooped in and saved the day on that. If you’re not Gluten-Free but are worried you might have an intolerance, why don’t you see your GP and complete an exclusion diet to find out what the cause of your stomach grumbles might be? 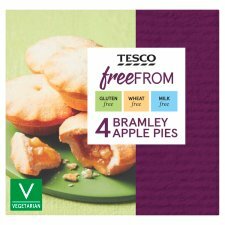 Overall if you’re looking for Vegan, Gluten-free or Dairy-free products look to Tesco! ( I shop there anyway). Along with their own brand products, they also have branded free-from options like Alpro Chocolate pots, Cauldron, Natures Path. They have such a variety of products to enable people with Coeliacs to actually eat a more inclusive diet. Hiya, This is a great website, thank you for the detailed article. Have a awesome day. Hello, Thank you for the excellent delicous recipe, It is nice to find nice recipes like this one on your website. I love baking cake and treats for my Nan in in the cold winter months and ice cream in the summer months. Very useful post! We don’t have any special diets, but whenever we have friends with dietary requirements over for meals, your guide will come handy.